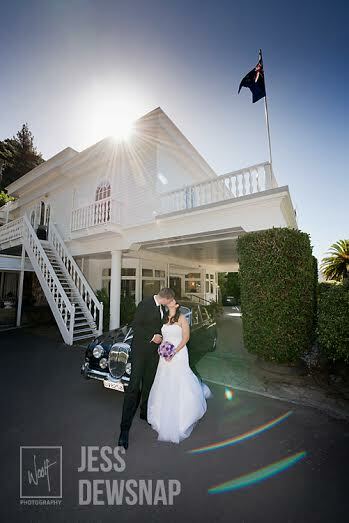 Andre & Shakila got married at Wallaceville House in my hometown of Upper Hutt. Wow, what a day! The weather the day before had been atrocious, wet, wild & extremely windy. 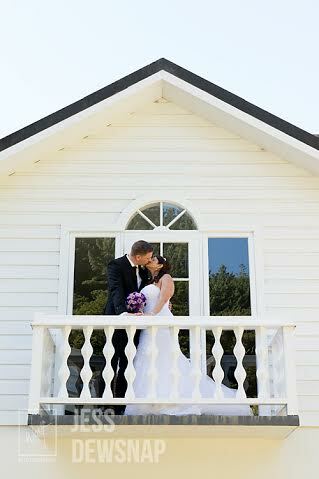 But we all woke up to a gorgeous sunny day with bright blue skies- we were so lucky! The day started with photos of the ladies getting ready at the Bolton Hotel in Wellington. The beautiful makeup was by Rebecca Connor. The mood amongst the girls was calm and relaxed and relieved that the day was a stunner. 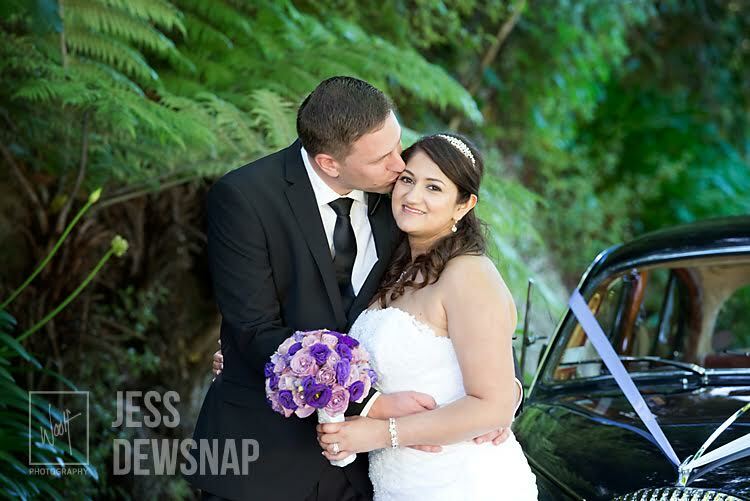 The colour theme of the wedding was black & white with shades of purple. 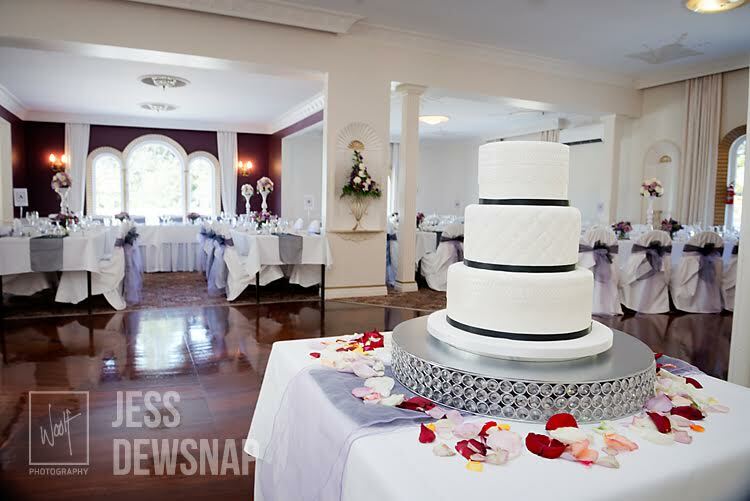 The flowers looked gorgeous: the Bridal and Maids' of Honour bouquets were by Melissa Jane Flower Studio, whilst the table and other floral arrangements were done by Beautiful Flowers in Upper Hutt. The cake was pretty impressive too, made by Go Cake Yourself. 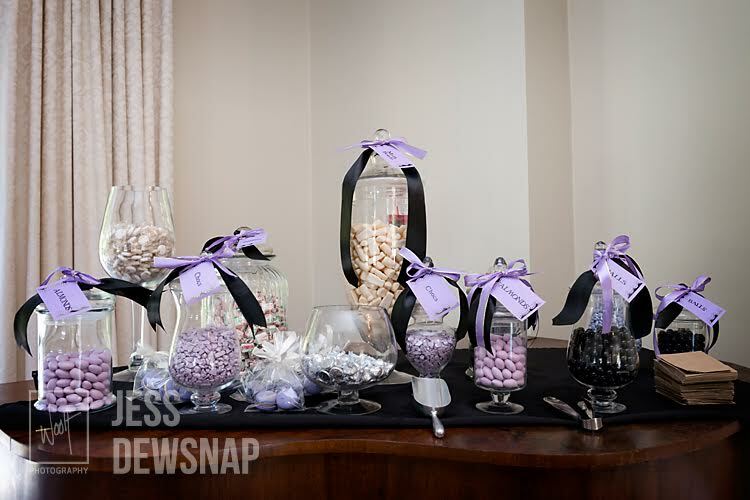 Plus there was a great selection of lollies at the Candy buffet in shades of lavender, black & white. 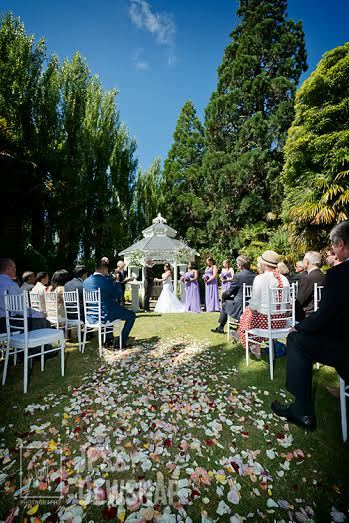 It was a lovely ceremony officiated by Marriage Celebrant Prudence Lamason, by the gazebo in the gardens of Wallaceville House surrounded by family & friends. Many of whom had travelled a fair distance from South Africa and were enjoying their first ever trip to New Zealand. The ceremony included a Wine box ceremony which was pretty special and something for both Shakila & Andre to look forward to opening and enjoying in the future. Following the ceremony, we took creative photos in the surrounding gardens of Wallaceville house and then joined the wedding party for a fantastic night of great food, entertaining speeches and lots of dancing. 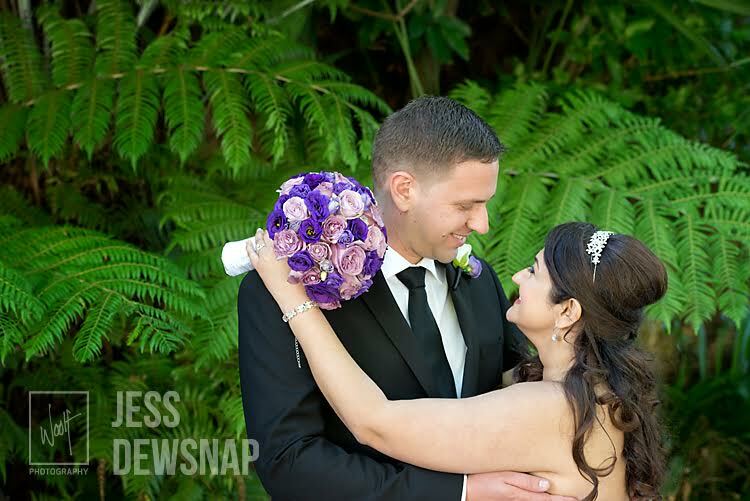 Wishing both Andre & Shakila all the best & hope they're enjoying a relaxing honeymoon!